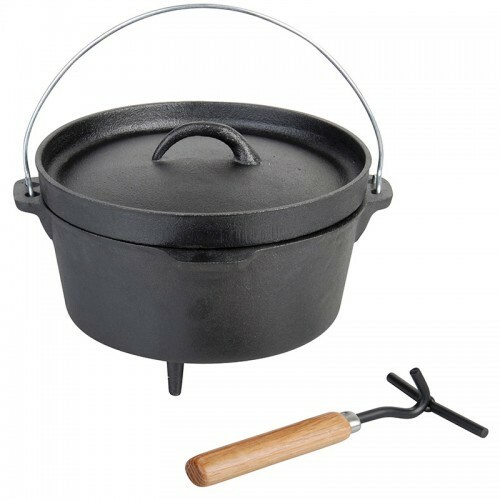 This Dutch-Oven with lid and feet by esschert - design is built completely from thick cast iron. With its 29 cm and 3.7 liter capacity, he is one of the classics of the Dutch-Oven-family. 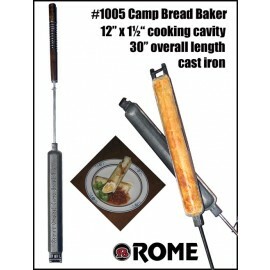 It is ideally suited for cooking, frying, roasting and baking of bread over an open fire or on the fireplace in the house. It can also be attached to a hook over the fire for Glühwein. Comes with a lid lifter. A Dutch-Oven is a thick-walled cooking pot with a tight-fitting lid made of cast iron. The heavy cast iron pot has everything a small furnace needs. With a raised edge and a tight fitting lid of the Dutch-Oven is so closed that it can be operated with lower and upper heat. 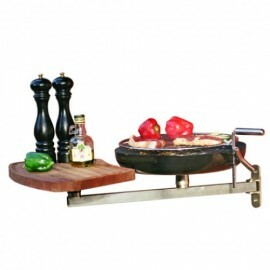 The thick-walled cast iron has the advantage that the heat is evenly distributed and stored. 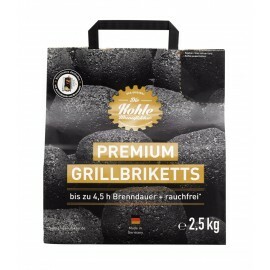 The lighting is done with charcoal briquettes, for uniform glow and a long burning time. 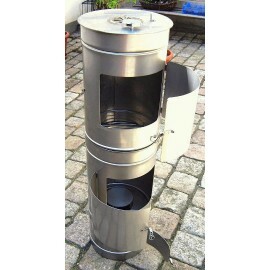 Due to its design, it is possible to put hot coals on the lid, so that the pot is heated from above and below and the heat is distributed evenly inside. Because of the thickness of the material, the heat can be stored for a long period. The stable lid lifter makes it easier to open the pot without burning your fingers. The Dutch-Oven can also hang on hooks on a hearth. With its Tripods he is absolutely certain in any embers.